I love a good rock star/film star romance, but though there are thousands of them on amazon most just don’t work for me. 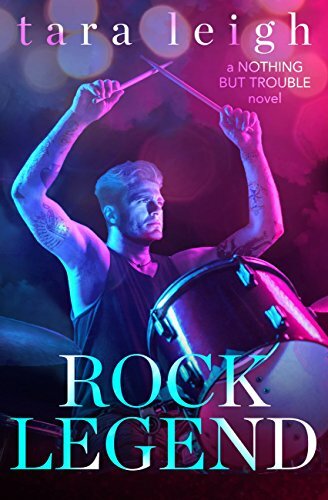 I had Tara’s first book in this series Rock King, from Netgalley and really enjoyed it so I took the plunge and actually bought book two. Between netgalley, free reads and KU I don’t buy many books, only those I think I’ll re-read! I really enjoyed this, wasn’t sure if I would as TBH I didn’t really take to Piper in book one. As always though good authors can turn that around and when I learned more about her past and upbringing I understood a bit more way she was the way she acted when she first met Delaney again. Its a great read, very emotional in parts, and Landon and Piper have a lot to go through before they can be happy. I loved the inclusion of Adam too, he made a nice side touch and a believable sub plot. Stars: Four, a fun read, not a simple rock star adoration, bland, smutfest, but a genuine plot and characters and sensual heat.